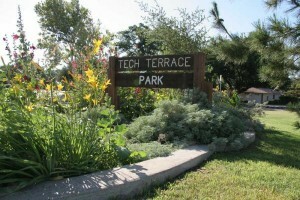 Tech Terrace is the neighborhood situated just south of Texas Tech University, conveniently located in Central Lubbock. The boundaries are 19th Street, University Avenue, 34th Street, and Indiana Avenue. Tech Terrace is a highly desirable location for students, professionals that work at Texas Tech University, and for medical and legal professionals that want quick access to the medical district or downtown. Looking for a new home or real estate in Tech Terrace? View our Tech Terrace homes for sale to browse photos, property features, and more details. Questions? Contact experienced Lubbock real estate agents for more information. Top reasons people choose to live in Tech Terrace! Interested in browsing more real estate listings around Lubbock, TX? Check out our Home Search page for Lubbock, Texas homes for sale and new property listings. 19th Street, University Avenue, 34th Street, and Indiana Avenue. Looking for real estate help? Get immediate assistance from full-time, experienced real estate agents about Tech Terrace real estate. At West Texas REALTORS, we provide over twenty-five years experience in the Lubbock, Texas real estate market. Providing professional realtor and real estate services including brokerage and property management. Visit our contact us page for contact information including phone, fax, and email. We look forward to helping you with your Lubbock real estate needs.